FireUps(R) We energize your sales initiatives through a clear and actionable Web presence. We build relationships with business that generate a quality product through superior service. Everything we do is in a effort to facilitate the customer experience and connect them to service providers that have a clear goal to provide a quality product and service. 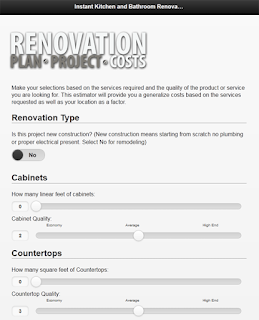 The way our service works is by providing applications like these to you as well as provide a turn key solution like renovation-costs.com where we can represent you in your local market. This URL shows has intelligence to customize the rates from the estimator based on your specific programs. The application can run from your website social media pages and blogs. After that we have 2 models $15/lead generated by the application or $499/Year annual license. These applications pay for themselves very quickly based on gathering cost information is a high priority for most internet shoppers. 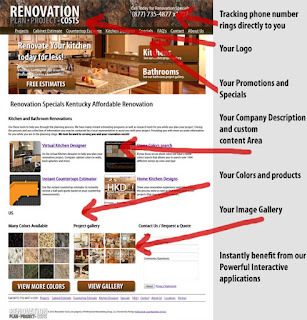 When you are a marketing client of ours and partner on our renovation-costs.com website we have a couple programs. Post Paid 5% of sale after you close, $300 unlimited is based on what we generate organically and through some localize online marketing, and then sales based where we have a target return on investment and budgets are set on sales goals. Everything we do is tracked so you know what your ROI is in real time and our goal is to create a growth partnership. Please feel free to give me a call if anything here is not clear and rest assured that everything we do is based on results. We don’t have contracts because we don’t need them. Everythnig is based on results. We succeed by providing you with very basic techniques for managing the customer and through a clear presentation of your sales materials and promotion strategy development to drive new business.